Here we are, well into the winter months in which temperatures are fluctuating and dry air is wreaking havoc on our skin. But who says winter has to be all bad? We should be able to hide under our blankets, warm drink in hand without feeling that unpleasant scratching against whatever surface we’re snuggling on. So how do we banish rough skin in the driest time of year? Buff it out! I’ve been trying out a couple of body scrubs that have been helping me do just that. I think this will always be a favorite of mine from first use. It slays dry skin easily and delivers a beautiful dose of lasting moisture in the same blow. How? Lush mixes ground rice, almonds and beans into a creamy cocoa and shea butter base which smells amazing and feels even better as it polishes away any and all dryness. Emerge the smooth, shiny creature you are. Make sure to pat dry so that you’re not wiping away the buttery goodness left behind. This is another moisturizing scrub that has completely stolen my heart. While being gentle, it uses Dead Sea salt and pumice stone to exfoliate and a velvety blend of coconut, avocado, and olive oil to moisturize. 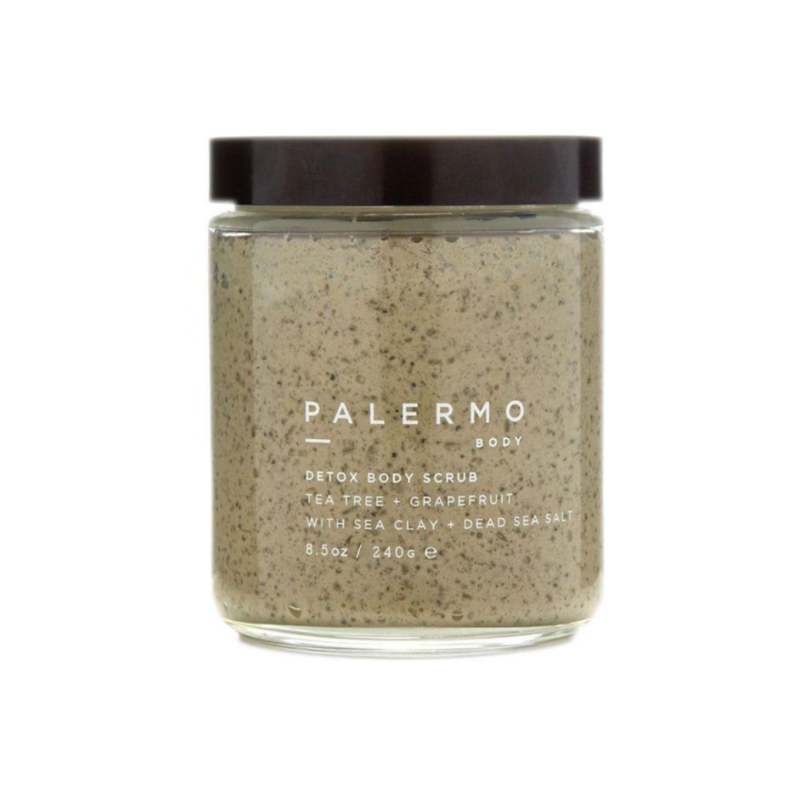 This scrub also incorporates sea clay to draw out any impurities; a multitasker’s dream. It smells like the spa day that’s way overdue and keeps my skin soft and smooth well after leaving the shower. It’s more on the expensive side but you get quality ingredients in stunning (and eco-friendly) glass packaging. It’s a beautiful addition to any bathroom. 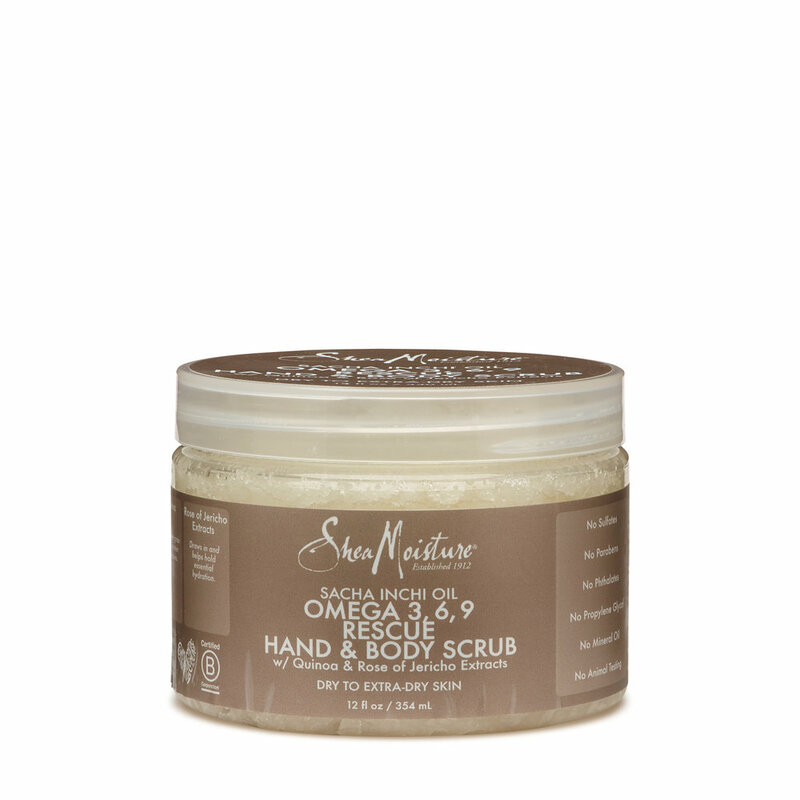 This scrub makes use of fruit enzymes and both glycolic and lactic acid to resurface. Formulated to use “wherever hair meets skin”, it soothes skin post-shave, unclogging pores, and preventing ingrown hairs. I like using this one as a 10 minute mask on my legs during my more extensive self-care session about once per week. The first time I tried it that way, although it was more time consuming, it made the biggest difference in my skin. This is one of the most affordable of the scrubs on my list though it is certainly not lacking in quality. We all love a good drug store option! It uses Organic Raw Shea Butter to deeply deliver moisture while it’s sugar base buffs away dead and dehydrated skin. Sacha Inchi oil is packed with Omega 3, 6 and 9 and the antioxidant vitamins A and E. Quinoa boosts collagen and elastin. They’ve packed a full house of hardworking ingredients into this jar. It’s a beautiful choice when looking to build up the moisture barrier of the skin and is formulated with dry and extra dry skin in mind, which let’s be real, during this time of year…that’s pretty much all of us.